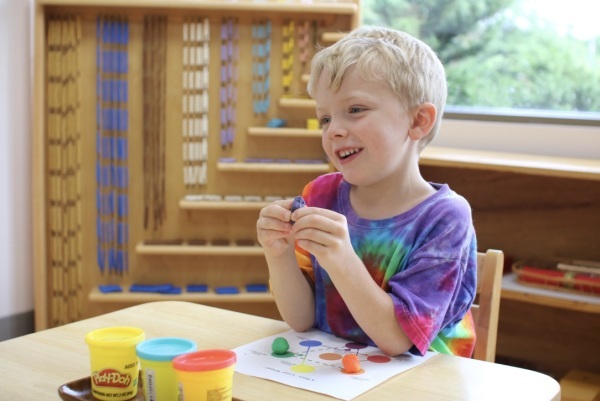 The Children’s House is full of scientifically thought-out and hands-on materials made especially for each curriculum area. 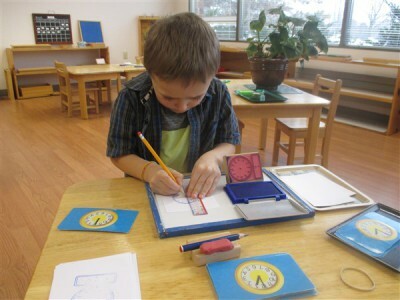 The head teacher carefully and thoughtfully gives the children lessons and guides them in the use of the materials. 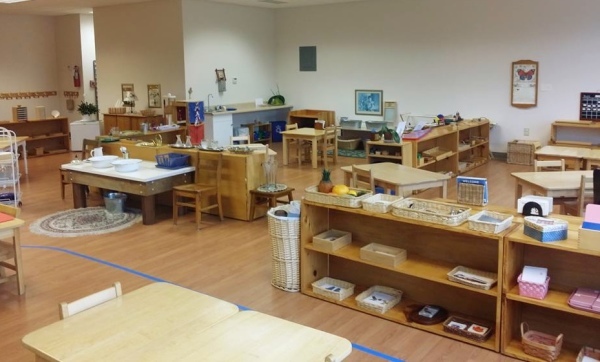 He or she also models exceptional behavior and guides the children throughout their school day. But the children don’t just learn what’s in the lessons. 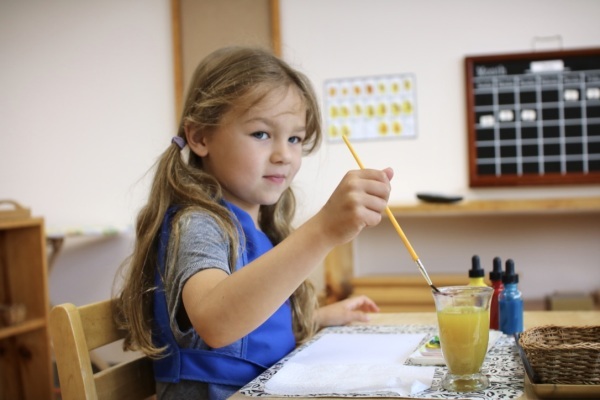 They are encouraged to explore subjects widely, pursuing work deeply in the areas that catch their interest. 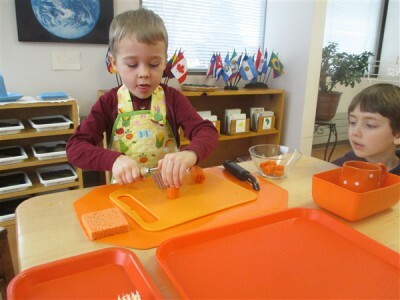 We encourage parents to engage with their child’s learning process and the school’s community in several ways. 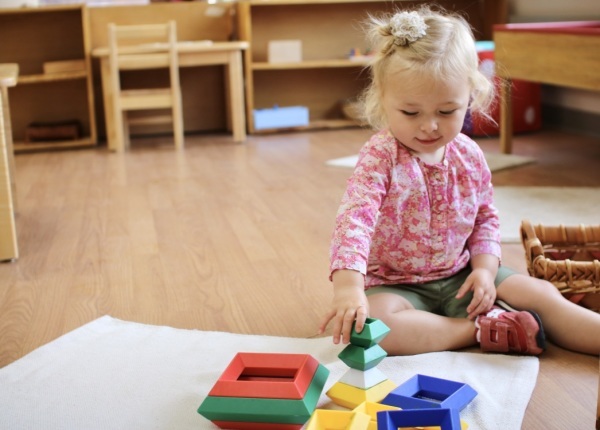 Parent Continuing Education sessions are offered to deepen parent understanding of the Montessori method and its application in the Children’s House. 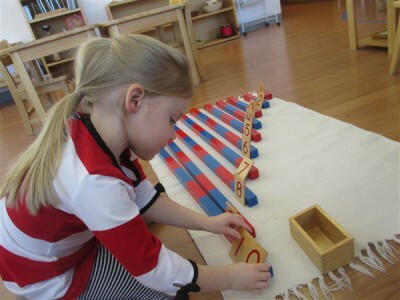 Parents work together with their child’s teacher to aid in the child’s development of independence and concentration. Parents also participate in social activities such as the Father-Child and Mother-Child Breakfasts, the Holiday Concert, and our Year-End Picnic.